The American Council on Education's College Credit Recommendation Service (CREDIT) connects workplace learning with colleges and universities by helping adults gain access to academic credit for formal courses and examinations taken outside the traditional classroom. 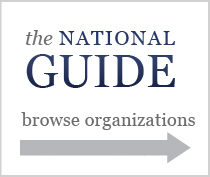 The ACE National Guide to College Credit for Workforce Training contains ACE credit recommendations for formal courses or examinations offered by various organizations, from businesses and unions to the government and military. View organizations below or search for a specific course or exam. Look for credit recommendations, search for courses and exams, or request a transcript. Bridge the gap between workplace learning and institutions of higher education. Connect the ACE credit recommendations to certificate and degree programs.